One of the best abilities hands down on a creature is Flash. It allows you to keep your mana untapped and respond to what your opponent will do on his turn. Usually if nothing has been cast on his end, we will wait for the end of turn and Flash in something like a Restoration Angel. We spring into action once we hear the magic words! The ability is somewhat split between 3 colors, the Bant colors: Blue, White and Green. The proportions being in that order. This is one of the rare times that a multicolor Flash creature is not blue. I know what you’re thinking : this is not a creature card! Technically you would be correct. However in the Selesnya colors, it’s much better as a token-producing Instant. It works nicely with the Populate mechanic, which to this day has not really see the light of day in competitive play. 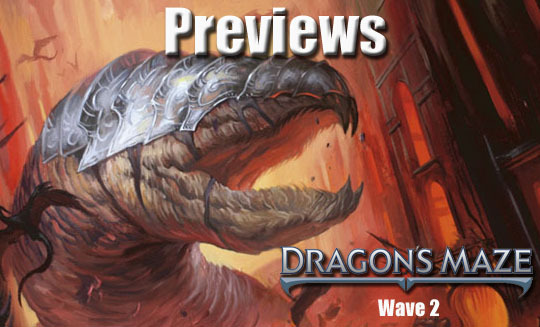 With the recent FNM Promo and now this spoiler we get the feeling that Wizards wants Populate to be a ‘thing’. We will have to wait for the rest of the set to be spoiled before we can judge on how viable the token strategy will become. I see this being a pretty heavily traded for Rare that will eventually settle at around the 3-4$ mark as it’s just a really good card in general. Of course, we can’t purely judge Magic cards in a vacuum. Up next we have a card that might as well have been the winner of the ‘Create a card‘ event that Wizards of the Coast is currently running. Three great abilities with a random ‘drawback’. Obviously he’s the ideal blocker, but we need to try and win and that does not happen by merely blocking all day long. Of course all one needs to do is make him unblockable and there are a near infinite number of cards that do that, most or all of which are blue. Casual players will try and get cute with it and whatnot, they just need to remember to pack something to deal that final one point of damage. Even if Master of Cruelties attacks again the following turn, it will not change anything. Your opponent’s life total will still be 1. This will be a good ‘build around me card’ but I’m not sure it will see heavy competitive play. Cards like this sometimes don’t have to as their casual appeal usually keeps their value pretty high. I’m going to say it will settle around the 5$ mark once prices stabilize. At first sight this is a great ‘Hate Blue’ card as it is the primary color of non-creature spells. I think it’s optimal usage would indeed be hating out a blue card, but not the one most people think…. Let me explain. You are playing an aggressive Black/White plus maybe a third color deck and you don’t want to uselessly overcommit to the board only to get wiped out. Playing a card like Duress is not proactive enough to your overall strategy as you don’t advance your board and is kind of a dead draw when you need to get a creature on board or when your opponent has little left in hand. I must admit that most of the times I have personally used this cards it has been to exile an Instant/Sorcery with it. A lot of times it’s been something like a Path to Exile . Of course, the problem then becomes what happens when they draw another removal? Sure, they wasted it on the Sculler but they are also getting their other card back. In that respect, Sin Collector seems stronger. The other thing that is very relevant at least for the current Standard environment is its creature type. At the time being, Humans are greater than Zombies. Sure, this may change. 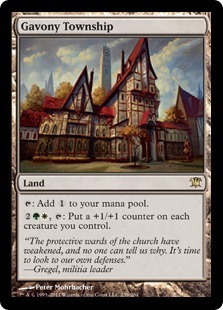 Having this interact with cards like Champion of the Parish or having it come back from the dead with cards like Angel of Glory’s Rise can be pretty sweet. It keeps the aggro going while having a small insurance versus any board wiping card. If you’ve been playing standard for the past few months, you undoubtedly know how frustrating it can be to have this card resolve against you. It’s almost soul-crushing. A little less so if you run your own copies of it, but it still hurts a lot. I’m not saying that Sin Collector is going to be the greatest card ever printed, but he does have tons and tons of great targets. He will always be a solid 1$ Uncommon, which is saying a lot these days where most uncommons fall in the 25-50 cent range. We quickly read the card and think great things of it and then it happens: What? no Planeswalker? Yeah, it’s a bummer! So it ‘Doubling Seasons‘ something. That’s pretty sweet. In Standard it works really well with the evolve mechanic allowing your dudes grow when they would not be able to otherwise (not having creatures that are bigger than the ones in play). It makes sense to have a guild champion work with the guild mechanic. No enchantment either? There goes any Assemble the Legion shenanigans! Grimoire of the Dead and the M13 Rings (ignore the Oblivion Ring in the Search results) say Hi! Hellion Crucible and Gavony Township say “What’s up?” (Of course you don’t directly add counters to Gavony, but you get the point). As randomly cute as these are they are just that. The obvious use is to add +1/+1 counters to creatures, which is fine. I think it will hover around the 2-3$ mark, again when prices stabilize more (usually around 1 month after the set’s release). Until the next wave, I hope I haven’t ‘spoiled’ your day!